Monterrey, Mexico - Ave. Calzada Madero #431 Ote, Col. Centro, In Between The Streets, Emilio Carranza Y Mariano Escobedo. 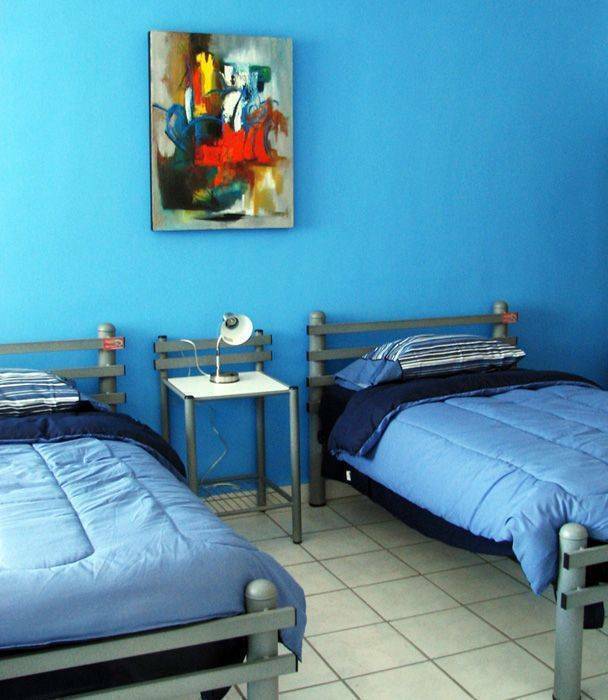 Recidencias Soyforaneo is the best place to stay for students, backpackers or professionals who want to visit one of the best cities in México: the industrial city of Monterrey. With the night life at (BARRIO ANTIGUO) at walking distance , you will never want to leave this amazing city full of great mountains and beautiful people. Rooms from 1 bed to 8 beds with shared facilities and also we have rooms with en-suite and loft with kitchen inside room. No curfew and no limited stay. Prices start at $130 pesos per night. All services included. 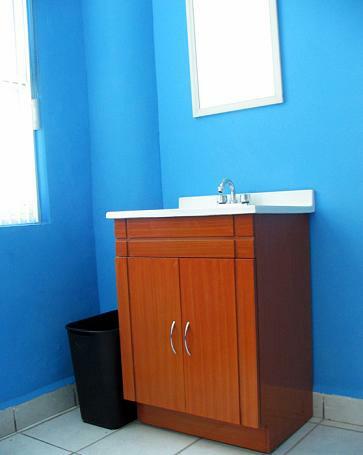 ( internet, TV/cable, cleaning rooms service, hot water 24 hours, common kitchen). Hope to see you soon.. and have a great trip!!!! We do have rooms with air conditioner and private bathrooms... please ask for special rate or upgrade. 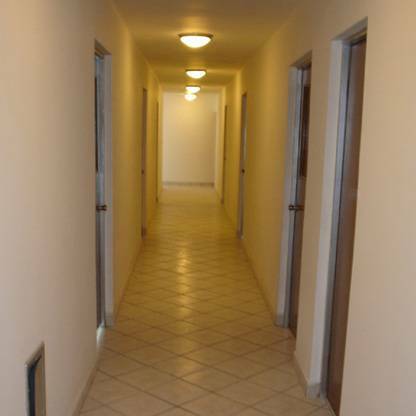 All rooms include linen, fans, bed, closet, 2 big windows , wifi and cleaniness. We have rooms with air conditioner and ensuite, please ask for special rate in case you want a upgrade. 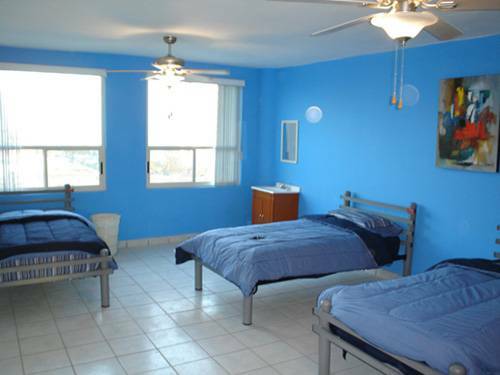 We offer rooms with private restrooms and air conditioner. Please ask for special rate. Enter our comun area with tv/cable, kitchen and minibar. We have rooms with air conditioner and ensuite, please ask for special rate in case you want a upgrade. We also rent rooms for long term with option to book a loft with kitchen inside the room. 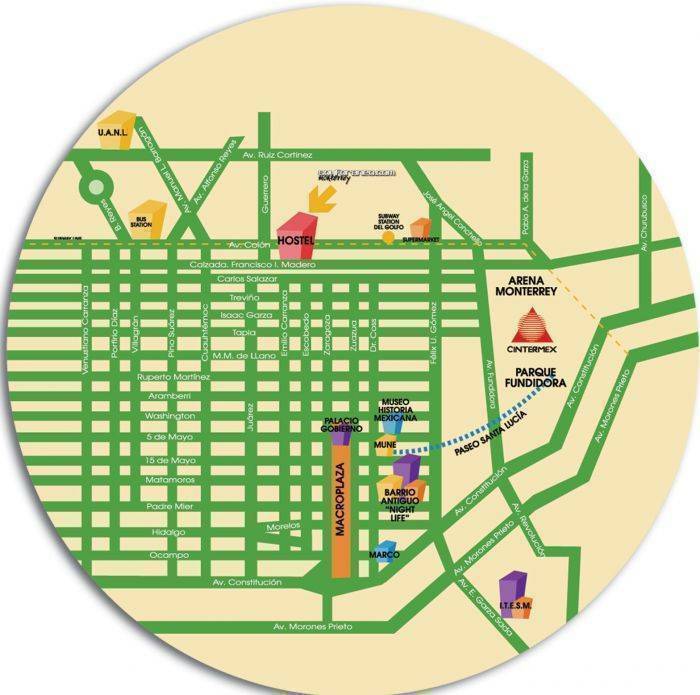 We are located in downtown monterrey, with the main plaza ( macro plaza) just a few block away and the night life ( barrio antiguo). All kinds of turist atractions (museums) are at walking distance. A one night fee will be charge to your creditcard if you do not cancel your reservation with 24 hours prior to your stay. 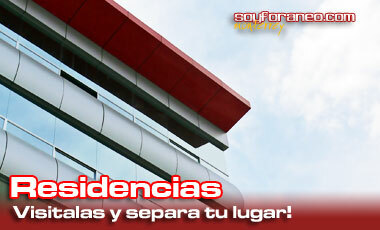 Ave. Calzada Madero #431 Ote, Col. Centro, In Between The Streets, Emilio Carranza Y Mariano Escobedo. We are open all year long and for those people that stay with us for more than a month we give a special price. If you arrive from the bus station in Ave. Colon, just walk two blocks to Ave. Calzada Madero and take a left (same direction as the cars) and 6 blocks you will see our building, between the streets Emilio Carranza and Mariano Escobedo. If you arrive by plane just take a private cab or taxi from the airport to our direction and it will cost you around $220 pesos.